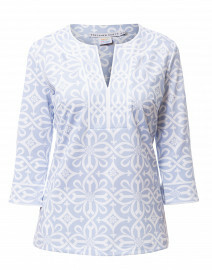 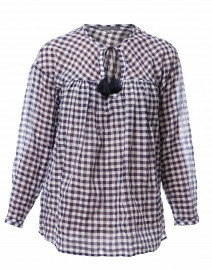 Roller Rabbit's relaxed-fit cotton top exudes a casual and feminine attitude. 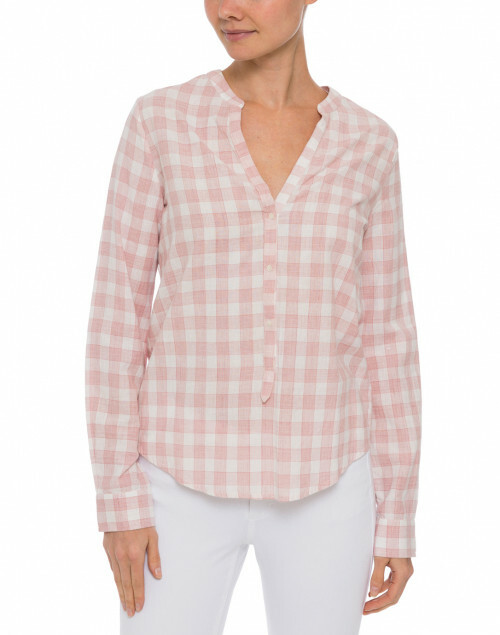 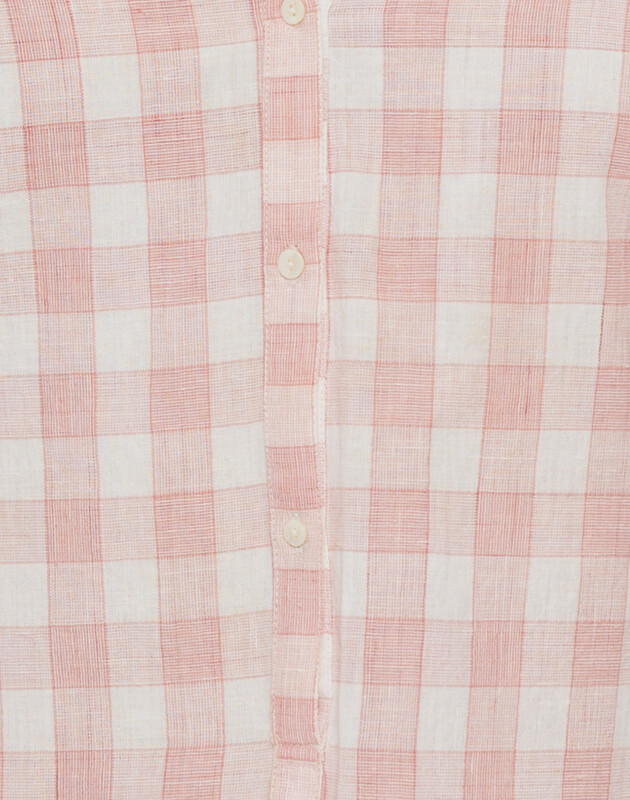 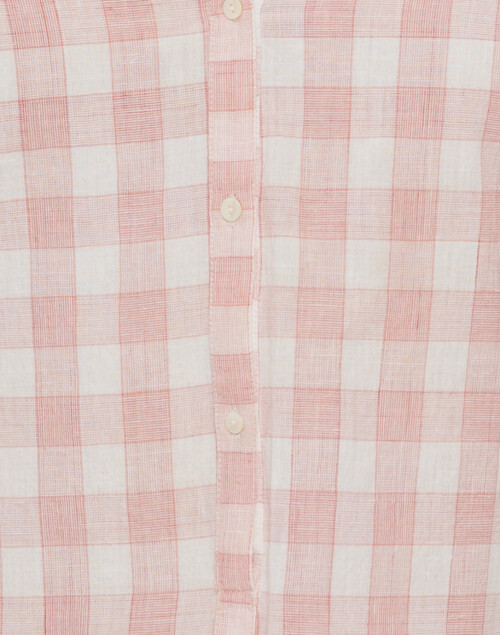 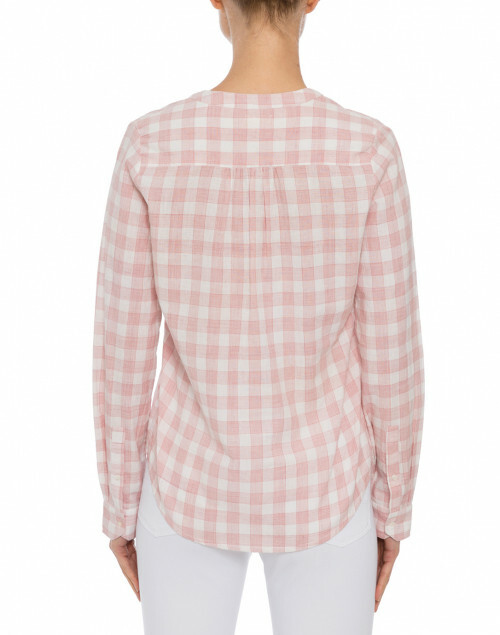 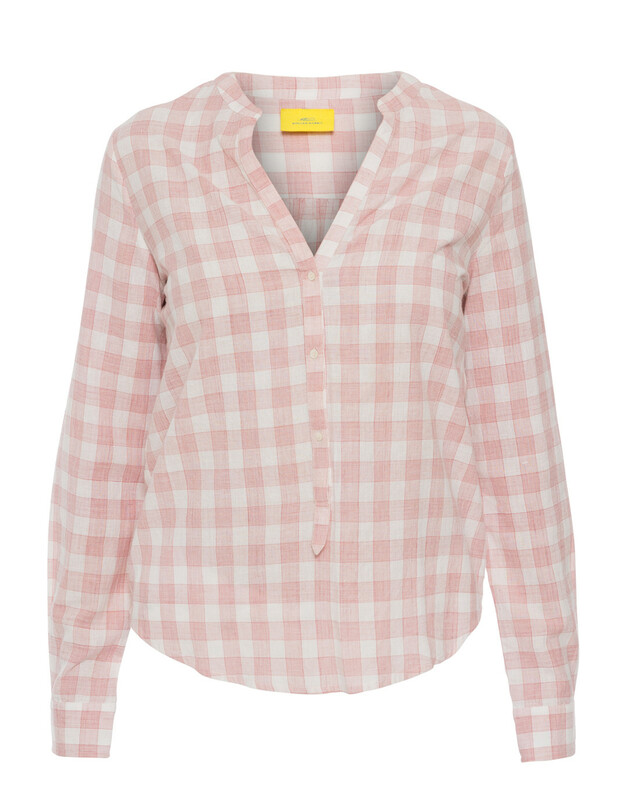 Its playful pink and white gingham pattern is bold in its simplicity, and the button-up henley neckline and long sleeves offer a relaxed appleal. 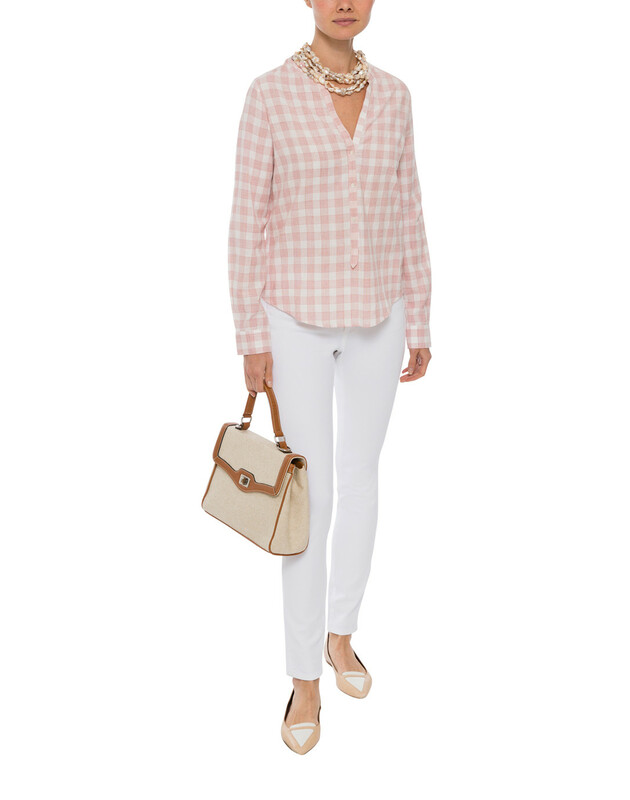 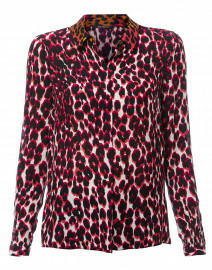 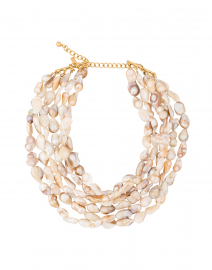 Pair alongside white jeans for a put-together daytime look. 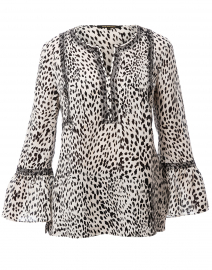 Length 28.5" 28.5" 28.5" 29" 29"
Bust 38" 40" 42" 44" 46"
Sleeve Length 23" 23.5" 24" 24" 24"